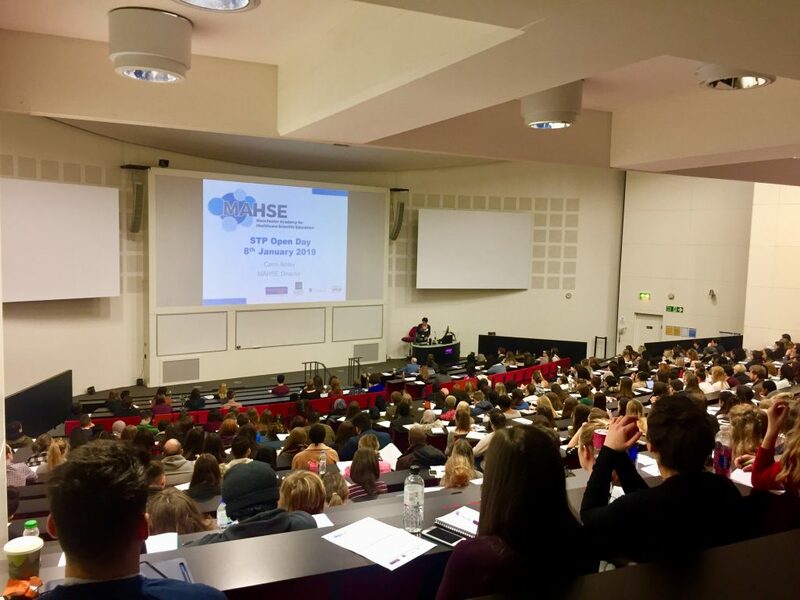 On Tuesday 8 January 2019, the Manchester Academy for Healthcare Scientist Education held it’s biggest Open Day yet, where over 300 prospective trainees attended to find out more about the Scientist Training Programme (STP). The event focussed on the MSc Clinical Science courses available at Universities in the Manchester area, which form part of the STP. The MAHSE Director, Carol Ainley spoke about the role of a healthcare scientist, what the STP involves and which MSc Clinical Science programmes are available in Manchester. CCVRS Sciences Programme Director, Martin Stout, then talked through and provided advice and tips regarding the application process, which is run entirely by the National School of Healthcare Science (NSHCS). A current STP trainee, Jamie Osborne from the North West Healthcare Science Trainee Network Board, spoke about what it is like to be a trainee on the STP, and talked about his personal experience of the application/interview process and also about his time on the programme to date. In the afternoon, attendees had the opportunity to sign up to one of ten tours to local NHS hospitals. These tours allowed prospective trainees the chance to meet current trainees and staff within specialism departments, providing valuable insight into the workplace aspect of the programme. Applications for 2019 entry opened on Wednesday 9 January and will close at 5pm on Friday 8 February. For information about applying to the STP, please visit the NSHCS website.